The Fairbanks region offers many large, unspoiled landscapes that serve as great habitat for wildlife. Explore the nearby Chena River State Recreation Area—a wild forest with many sloughs and a mixture of treed and treeless landscapes. Moose and beaver frequent this area as well as other small animals like ermine, fox and red squirrels. The remote Dalton Highway crosses large tracts of boreal forest, subalpine and Arctic tundra. Along the way, you may be able to see black bear, caribou and moose. In Denali National Park and Preserve you can add grizzly bear, Dall sheep and wolves to the mix. The road into the park offers a great view to a variety of animals that call the park home. Interior Alaska is a thoroughfare for hundreds of species of birds. Sightings are greater during the spring and fall months as thousands of birds make their annual migration to and from their nesting grounds. A walk around Creamer’s Field Migratory Waterfowl Refuge, less than five minutes from downtown, will lead you through fields and forests full of sandhill cranes, Canada geese, snow buntings and Townsend’s warblers. A drive up the Steese Highway is a great way to experience alpine tundra as well as find some alpine specialties like northern wheatear, surfbird and willow and rock ptarmigan. Don’t forget your binoculars to scope close-up views. Although many birds leave in the fall for warmer temperatures and better supplies of food, some birds, including chickadees, redpolls, ravens and owls, remain the entire year. 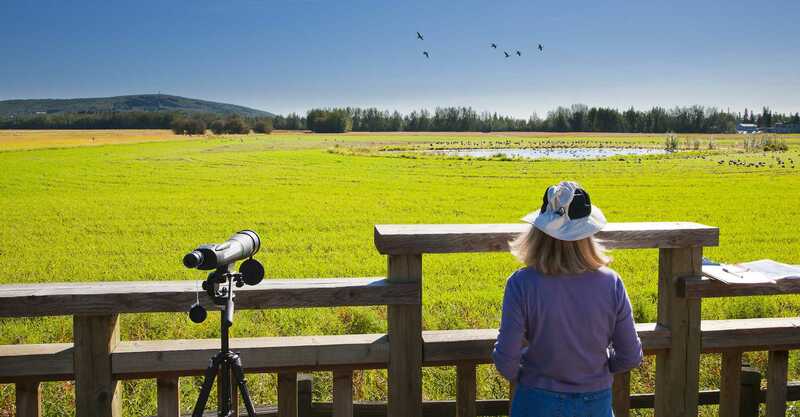 Creamer's Field Migratory Waterfowl Refuge is a delightful place to walk and birdwatch year-round, with multiple trails, a boardwalk and bird viewing stations crisscrossing big fields and forests filled with birch, aspen and spruce trees. 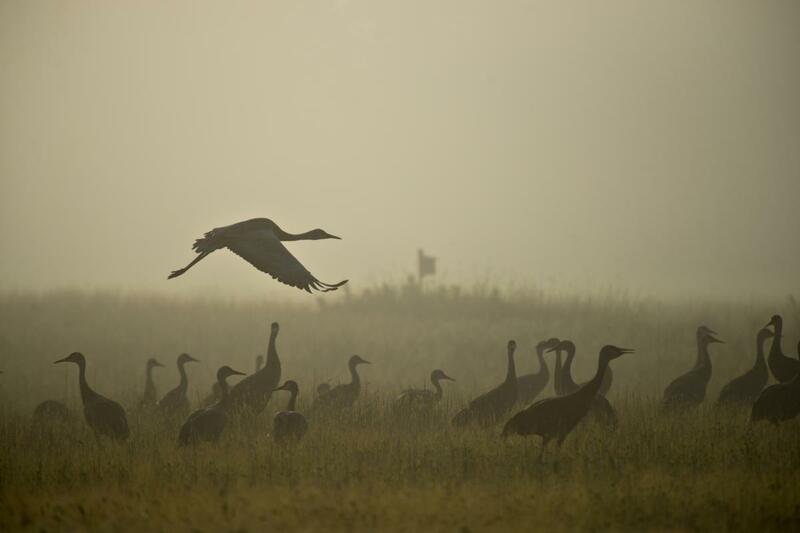 A local favorite, Creamer’s Field offers multiple programs on birds, with the most renowned being the Tanana Valley Sandhill Crane Festival held annually at the end of August. Creamer's Field includes approximately 2,200 acres, including 150 acres that are within the city of Fairbanks. The fields, woods, and wetlands are managed by the Alaska Department of Fish and Game. The farmhouse and barns are listed in the National Park Service’s National Register of Historic Places. 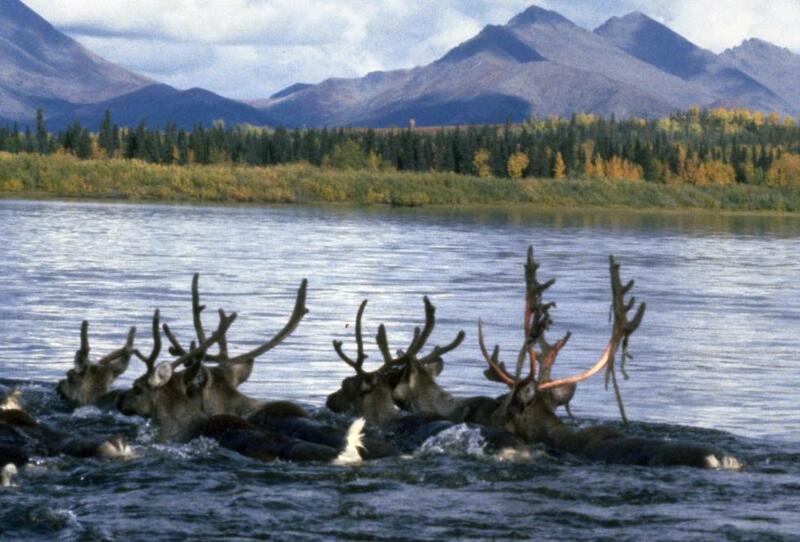 My most amazing Alaskan memory…my husband and I were up on the banks of the Kobuk River watching the caribou swim across. As we watched, a herd of about 20 cows and calves swam across right in front of us then ran up the bank into the woods right where we were sitting. We sat as still and quiet as possible and the caribou flowed around us, snorting, their ankles clicking, the calves bawling, as if we were rocks and they were water in a stream. We could have reached out our arms and touched them. It was the most magical thing I have ever experienced.